Jim Mulvihill: Welcome, ladies and gentlemen, to this Road to the Breeders’ Cup National Media Teleconference coming to you today from NTRA headquarters in Lexington, Kentucky. This, of course, is one of our favorite weeks of the year with the Travers for top three-year-olds in training on Saturday, followed by the Pacific Classic for the West Coast’s best older horses on Sunday. Each of these seven figure stakes represents the centerpiece of their respective meets. Saratoga’s $1.25 million Travers, also known as the Midsummer Derby, is one of our most prestigious three-year-old races, with a history of winners including Man o’ War, Whirlaway, Native Dancer, Buckpasser, Easy Goer, and Point Given. Saturday will mark its 145th running. Meanwhile, Del Mar’s $1 million TVG Pacific Classic, now in its 24th year, has become Southern California’s most important annual fixture in the second half of the year with past heroes from Best Pal in the inaugural running to last year’s winner Game On Dude, who on Sunday will attempt to join Tinners Way, Skimming, and Richard’s Kid as repeat winners. The Pacific Classic is a Breeders’ Cup challenge “Win and You’re In” race, carrying an automatic berth, paid entry fees and travel for the Breeders’ Cup Classic. But here’s a little piece of trivia for you. While both of this weekend’s marquee races usually produce top Classic contenders, no Travers or Pacific Classic winner has ever gone on to win the Breeders’ Cup Classic the same year. With the horses running this weekend, though, 2014 might be the year that changes that. There’s several other important races this week to mention. Other “Win and You’re In” propositions include three stakes at York Racecourse in England, as well as the Personal Ensign at Saratoga on Friday, the Ballerina at Saratoga, and the Del Mar Handicap on Saturday, and the Pat O’Brien at Del Mar on Sunday. Now, NBC Sports has the national broadcast of this week’s big races as part of their “Breeders’ Cup Challenge” series. The Travers and Ballerina are on the flagship NBC Network Saturday from 4:30 to 6 p.m. Eastern, and then they’ll wheel back with the “Pacific Classic” show Sunday from 8 to 9 p.m. Eastern on the NBC Sports Network. You can also find plenty of live coverage of these races on satellite radio. 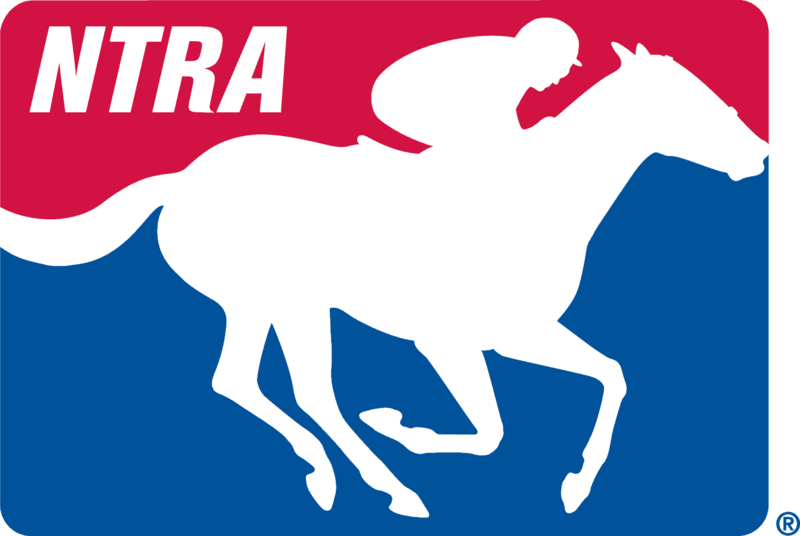 Sirius Channel 93 and XM 208 “Down the Stretch” is at the Travers on Saturday, and the Horse Racing Radio Network will be on the scene Friday and Saturday at Saratoga, and then Sunday at Del Mar. Any chance that you all in the media have to inform your fans as to how they can watch and listen to these races, we always appreciate that very much. Now, enough of my jibber jabber. Let’s get on to the good stuff. Later in this call we’re going to hear from Ed Stanco. He’s the owner of Princess of Sylmar coming back in the Personal Ensign. Also, Hall of Fame jockey, Mike Smith, who will ride the undefeated three-year-old sensation, Shared Belief, against his former mount, Game On Dude, in the Pacific Classic. But first, we’re going to start with perhaps the most recognizable name in racing, Bob Baffert, who is all over the big races this weekend. He’s got Fiftyshadesofhay in the Personal Ensign, hopefully Bayern in the Travers—we’ll confirm that for sure in a few moments—and Game On Dude in the Pacific Classic. Baffert, of course, quick intro for you, is a Hall of Fame trainer with wins in nine Triple Crown races and 10 Breeders’ Cup races. He’s trained 10 Eclipse Award champions. Currently he sits at sixth all-time among trainers by earnings, and he’s approaching 2,500 career wins. As for these two feature races we’re focusing on this week, he’s won the Travers once with Point Given, and the Pacific Classic four times going back to General Challenge in ’99, plus the two by Richard’s Kid, and then Game On Dude last year. Bob Baffert, you’re on with Jim Mulvihill in Lexington. Thanks for joining us. Bob Baffert: Thanks for having me. I was listening to your trivia. Now I know why I haven’t won the Breeders’ Cup with Game On Dude or any of my other horses. Jim Mulvihill: Well, if there’s anybody that can do it it’s you, right? Bob Baffert: I’m going to have to scratch my horses. Jim Mulvihill: It’s surprising, though, right? Bob Baffert: I’ll have to scratch my horse if I’m going to win the Breeders’ Cup. Jim Mulvihill: No, no, hardly. The—it’s kind of amazing, though, right? Like when I figured that out this morning I couldn’t believe it. Bob Baffert: I tell you what, the worst trivia thing—question I ever got was the year that Point Given when we were drawing slots and it was between the 18 and the 2. I wanted to go in the 2, but Gary Stevens wanted to go in the 18. Right after the draw Jennie Rees asked me, Bob, does it bother you that there’s never been a winner in the 18 hole? I said I wish somebody would’ve told me before the draw. There still has never been a winner in the 18 hole. Jim Mulvihill: Well, maybe we’ll get more trivia from Jenny in a little bit. I’m sure she’s with us today. Let’s talk about three-year-old horses. You had said that Bayern would only get on a plane and go to New York if you liked his workout this morning. So tell us what you were looking for there and what you saw. Bob Baffert: Well, yes, he didn’t really do a lot. He went a half a mile in 48 and galloped out like in a minute; just really a maintenance work. He looked good doing it. He went over the ground really well. His energy level looked great. So far everything looks positive to send him. You know, we’ll look at him again this afternoon and make sure. I always wait until the last minute and you have to look. I can change my mind or whatever, but what I’ve seen so far I didn’t see anything there. I’m always looking for an excuse not to get on the plane, but so far I haven’t found that yet. Jim Mulvihill: Terrific. Well, let’s talk about his year overall. You know, after the way he started the year at Santa Anita you might call his few starts in the spring a bit disappointing because of the promise he showed in the wins at Santa Anita. Was he regressing a bit or did he just keep having bad luck in those races? Bob Baffert: Well, I think he had the big win going long, and he looked like a superstar that day. Then I I was going to run him back and I had a setback with him with a bruised heel, quarter, and then it was sort of like trying to play catch-up. So when he went to Arkansas, I kept waiting for him to open up and just keep going, and he wasn’t going that fast. He got a little tired. So, you know, we understood that. Then I ran him back in the Derby Trial, and the track was, I don’t know, sometimes it can be a little funny in the spring, I was certainly disappointed he just couldn’t get away from those horses. I don’t know if we just didn’t let him run or what, but we were trying to rate him a little bit. In the Preakness he just got completely destroyed leaving the gate. , I don’t know if he would’ve run that well that day anyway. But we got him back at Churchill Downs and he started really working strong. I think he just needed to catch up. He just wasn’t caught up to those horses. Then he finally had the foundation under him, and once he got the foundation then he was just—when he exploded at New York, that was really—that was the race we were waiting for; we were hoping that he had. Bob Baffert: So I was debating but I didn’t want to take him to Saratoga because then I’d be tempted. I wanted to bring him back here where I could actually watch him train every day, and I wouldn’t have that extra pressure if you’re there you’re going to run, which I’ve done before in the past, so it’s hard to pass it up when you’re there. But everything that I’ve seen so far is——will he take a step backwards, I don’t know, but he looks good and he’s not a really big horse, but he’s just fast. He’s a handy horse and he’s got a lot of speed, and a mile and a quarter still I’m not totally convinced yet he can get a mile and a quarter. But he’s pretty fast, so, you know, what I’ve seen so far, you know, it looks pretty good. Jim Mulvihill: Well, one of the points that you made after the Haskell was also the importance of—and you even mentioned it a minute ago just briefly, but just letting him roll as opposed to when he hits the lead a rider trying to slow him down as they might normally want to do. Is it better and can we expect to see this weekend that you just let him get in the clear and let him run his race as he wants to? Bob Baffert: Yes, I think the faster the better for him. If he goes too slow I think we were trying to conserve his speed. But he’s just a fast horse. He just wants to go. He’s like Game On Dude. He’s the same way. Every time I try to grab a hold of him, and (inaudible). You just have to let him go and, you know, what happens happens. You just can’t worry it about it, and go onto the next one. But, utilize your speed. They’re just fast, brilliant horses, and when you have a brilliant horse with that kind of speed, you’ve just got to use it. Jim Mulvihill: Let’s talk about Game On Dude then. He had a work yesterday. What can you tell us about that final prep for the Pacific Classic? Bob Baffert: Yes, he looks good. I really think he’s training like he was prepping for it last year. He likes the surface here. He gets over it really well. He had a great work. His last two works were really great. He’s really getting over the track well, and so it’s exciting. You know, last year I didn’t think I could have him back here at at this level again, when he brings his A game, it’s just there’s nobody can beat him. You know, and I really think he’s doing well, so if he throws that A race, he’s just he’s tough to beat. Danny Brewer: Hey, Bob. How’s life on the West Coast? Bob Baffert: Well, it’s beautiful here in Del Mar. It’s been a funny summer. We had rain and we’ve seen a lot of things here, but it seems like everything’s turned the corner and everything looks peachy now. Danny Brewer: Outstanding. Okay, so Bayern, he seems to fit the mold of some of the runners you’ve had—three-year-olds you’ve had recently with Bodemeister and Paynter. Do you groom these horses to be just front running speed horses, or are you just cultivating what their natural talent is? Bob Baffert: Well, I think it’s—a lot of them it’s their natural talent. You know, you really can’t teach a horse to run fast. So they’re just born with it. It’s just their style. Once you figure out their style, you’ve got to stick to it. It’s like Point Given, we didn’t know his style until after he got beat at the Kentucky Derby, unfortunately. But once you have their style figured out you just stick with it. Danny Brewer: There have been a lot of really good times at Del Mar this year based on the surface. Do you think that plays into Game On Dude’s hands as far as the Pacific Classic? Bob Baffert: Del Mar, every day it’s like you don’t know what you’re going to get. This meet’s been very difficult. It just really changes every day. It depends on the heat; the weather. You know, and they put some wax on it and it sort of made it sticky, so you just don’t know—you don’t know what you’re going to get. It was totally different than it was at the beginning. So they’re trying to keep it together. You just don’t know what you’re going to get. Danny Brewer: Last one from me, Fiftyshadesofhay, she has been a warrior. She’s been East Coast, West Coast, all over the country. Is that a testament to how talented of a filly she really is? Bob Baffert: She’s a filly that shows her talent. When she shows up, we don’t know what shade shows up. She’s running well in New York. That’s why I thought of taking her back there, and Johnny seems to get a lot of running out of her. Her last race here was sort of dismal on the synthetic, like she was never comfortable. It was one of those races where it was all speed and nobody changed position. She’s a filly we’re always hoping that one of these days maybe she’ll get lucky and win one of these major good Grade 1s; with her, and show us something. But she’s pretty honest; consistent. She’s right there every time. Jennie Rees: Yes, Bob, and the good news is I have no trivia for you, so—but I do have questions. How tough a decision was it to decide to go in the Travers versus the King’s Bishop where you know he’d be the one to beat, and he would look so brilliant in the Woody Stephens? I mean are you just—like you said, you’re not even sure about the mile and a quarter. Is it just, well, let’s find out? I mean are you thinking—you know, I’m just thinking if you went in the King’s Bishop he would be sort of on the path for maybe Champion Sprinter, but are you thinking, well if he knocks off the Travers and some other races, he’s maybe on the path for Three Year Old. I don’t know. Just what are the factors that went into it? Bob Baffert: Well, I was waiting—that’s a good question because I was—oh, by the way, I saw you at the big golf tournament. Jennie Rees: Oh my gosh. That was so embarrassing. Bob Baffert: You were big time. I’m saying I know her. So I was really—I was waiting to see what he did in the Haskell, because I thought if he runs like he’s been training, he should win; you know, I think he’ll win if he gets the lead. But after he ran in the Haskell, I didn’t see any really reason not to maybe try him a little further, because it wasn’t really taxing on him. He handled it pretty well. He reminded me a little bit of like Paynter. Paynter—if I could’ve run him back in the Travers he would’ve been so tough. I was thinking like if he was a Roman Ruler-type, or Roman Ruler; he won it. But, you know, he wasn’t. He would’ve been better going in the King’s Bishop. But I really think this horse the way he finally put it all together, he’s a fast horse, and two turns, it was his weapon. I think he really—he liked that better. Jennie Rees: Will you come into this race with the same feeling as you had before the Haskell that if he runs this race they’ve got him to beat? Bob Baffert: Well, when you go to the Haskell you sort of know what you’re going to get. Like the track, they’re going to run (inaudible). Saratoga, I don’t know; I’ve been watching. It’s a little bit like Del Mar; you don’t know what you’re going to get. The surface, what’s it going to be like that day, with the rains and everything, if it’s deep, loose, whatever. It’s a different beast. What do they call it when the saying….champions are—buried or whatever? Jim Mulvihill: The Graveyard of Champions. Bob Baffert: The Graveyard, yes, I don’t want to come in here with a Graveyard horse, you don’t know what you’re going to see there. Jennie Rees: Well, is it safe to say this is a pivotal race? You know, if he runs great you maybe look at the Breeders’ Cup Classic? Is—do you think you need to—he don’t want to go a mile and a quarter you’d look at the sprint or the (cross talking)? Bob Baffert: Yes, after watching the Haskell, I think he can get a mile and a quarter. It depends, but I think that with these three-year-olds, maybe if he did it with them—I don’t know if he can get it with the older horses, but you never know. Basically you really don’t know until you try it, Jennie, and so just like you never know if they’re going to go two turns until you’ve had them two turns. Nobody ever knows anything until you do it. So we’re going to find out. Can he get it? He should get it. If he can get the Travers, and Saratoga, it’s still demanding there, and I mean horses have had to race over it and I think the Jim Dandy’s probably the best way to prep your horse for the Travers. I’ve won it with Point Given. I took him there because if you’re the best, then you can get it done. If you feel like you’re bringing the best, you can get it done; if he can’t—he’s not (inaudible) the best. So we’ll find out. Jennie Rees: Game On Dude, quick question, not to hog you, but did you have a feeling that maybe you were going to be in a situation looking for a rider? I mean did Mike, you know, looking at the tea leaves with Shared Belief that Mike would be going for the younger model? Bob Baffert: When Shared Belief won the Los Alamitos Derby or the race down there I thought—when he crossed the wire I thought, oh, I’m going to need a new jockey (inaudible). I really can’t blame Mike. Mike’s been great. He’s helped out. He’s taught me a lot of things about this horse when he first got on him that we didn’t know about that he really helped us with, so he’s been a big factor in the success of Game On Dude. And he knows we have Martin backed up. He rode him here last year, and I don’t have a problem with Martin. So I just feel fortunate that Mike, , he’s a real classy gentleman, and he’s, going with the younger gelding, which I really can’t blame him. Nobody knows how good Shared Belief. This is going to be probably going to be the toughest test that he’s ever had. So I really can’t blame him for maybe trying something else. He knew that if he did it, that I wasn’t going to throw a fit about it or anything like that. I understood, and so I really don’t blame him. I don’t have a problem with it. Tom Wilkin: Hey, Bob. How much of a concern is the shift going to be for you going back across the country again? Bob Baffert: Well, it’s always a concern if it doesn’t go smooth. Things can happen; you know, planes can break down, they can do this, get stuck or whatever. This horse ships really well. He’s shipped back and forth, if he got there and if he didn’t ship right or was something, you know, just because I’m there doesn’t mean I have to run. We could wait for the next one. But hopefully everything will go smooth. Tom Wilkin: You said that you’re always looking for an excuse not to get on a plane. Why is that? Bob Baffert: What I mean by that is I want to make sure when I ship we want to ship to make sure that it’s going to be a winning ship. We put him on the plane to win. We don’t want to run just be part of the race. But I just want to make sure that, they’re going to make a good showing of themselves. I want to make sure they’re going to fire—you know—if I feel they’re going to fire then if he gets outrun he gets outrun. But we like to ship— I don’t want to ship them unless I have a really good chance. Tom Wilkin: Any horses here you’re worried about more than any other? Bob Baffert: I worry about just keeping the horse sharp, and it’s basically I really don’t look at the competition that way. I worry about my own horse being sharp, because if he’s not sharp, it doesn’t matter who I’m in with. Tom Wilkin: You’ll ship tomorrow? Bob Baffert: Yes, he leaves tomorrow. Tom Wilkin: Great. I’m sorry we won’t be seeing you, Bob. Bob Baffert: Yes, if I didn’t have the Pacific Classic I would’ve probably come, but I’m staying here, and only one of us can go, so Jimmy’s my shipping guy. He does a fantastic job for me and he loves it. He loves to be away from me for a few days. Tom Pedulla: Bob, with Mike Smith, how much—could you talk about how he helped you with Game On Dude, and, you know, maybe how he has helped you with horses in general? I guess that’s part of what he brings to the party, so to speak. Bob Baffert: Well, there are certain riders that I’ve known through the years that they can ride a horse for you and they can come back and they can tell you, oh, I rode him wrong. He wants to do this, this, and that. He’s one of them. Gary Stevens, he’s another one who’s been great. It’s amazing some of these guys they can—you can have somebody riding your horse the whole time and they don’t—and one guy gets on him and says, boy, this horse does not want to run this way. So he’s one of those jockeys that can tell you that. We’re all students of the game. You know, I’m still learning to this day. I learn more about horse racing, training, and, you have to adapt to certain situations. So just like when a horse gets older you can’t train them the same as—I can’t train them like I did when he was a three-year-old. You know, as they get older you’ve got to know when you can lean on them and when not to Mike has passion for the game and just the way he works out every day to keep himself, he knows he’s old and he’s getting up there in age, he knows, the minute people see that when you’re that old and you can’t come out of the gate anymore or you’re not doing very well, people, they’ll drop you in a heartbeat. He knows that so he makes sure he stays as sharp as he can and he has a lot of confidence in himself, so that’s very important. Tom Pedulla: Okay, and then just secondly, with Bayern, do you feel like there’s still a time and an opportunity for him to maybe be still the top three-year-old, maybe even a horse of the year if he were to win out? Bob Baffert: I really haven’t visited that thinking yet. I’m just trying to keep him healthy and trying to knock off a big race with him and give Kaleem Shah the opportunity of a lifetime to have a horse like that and really enjoy him, and just that’s why we’re all in it. That’s why we spend money on these horses trying to sit in the front row and enjoy a big horse like that and the excitement of it all. So it was very exciting just winning the Haskell. It was so exciting for all of us, and it was just a great feeling, you know, any time you win any of those major races like the Derby, Preakness, Belmont, Haskell, Travers, it’s huge, with a three-year-old. So it’s fun and we have the passion for it and that’s why we work so hard and put so much time and energy into it because this is what we all live for. Tom Pedulla: I mean I guess like to Jennie’s question, most of us think you have a sensational sprinter, so I think we’re a little puzzled why you’re venturing into the unknown, so to speak, with a race like the Travers? Bob Baffert: The sensational sprinter, his name is Secret Circle. He’s in the barn. John White: Bob, you were talking about Kaleem Shah, and, you know, how meaningful it is for you and him to have a horse to win the Haskell like Bayern. How was it you came to train for Kaleem Shah? How did you guys get together? Bob Baffert: We hooked up through Hill n’ Dale Farm. He got a hold of somebody there; it was either (inaudible). Actually his son, Armand, who loves the horse, he’s 15 years old now and he was a big fan of mine and he wanted his dad to—he wanted me to train for him. That’s how we hooked up. He bought the horse and met him at a sale and we just (inaudible) buying horses. We’ve had some good luck and we’ve had some bad luck like anybody has, but he’s really enjoying it. The thing about Kaleem is his father was a big-time trainer in India, but he never let Kaleem get involved in any of the horse racing. He wanted him to go to school and get educated. He did, and so now he’s just enjoying something that he really couldn’t be involved in when he was younger. Kaleem and his son, Armand, they have a passion for it which you need to have anyway. So, Kaleem, he loves the competition, and owning a really good horse, and, just he excitement of it all. It’s just it’s a great feeling when you have a good horse and it’s just the biggest picker upper anyone can have. John White: And also if you could give us a Midnight Lucky update? Bob Baffert: Well, she’s actually in training. She’s down here in Del Mar training, and she’s’ going to go straight right into the Breeders’ Cup Filly & Mare Sprint. John White: How close is she to a breeze would you say? Bob Baffert: Probably at the end of the month here. David Grening: Bob, what gave you the confidence to run back in the Woody Stephens after the Preakness? Bob Baffert: Well, he’d worked well for all of his races. That’s why we were so puzzled by his performances. So I thought, well, maybe he’s a one turn horse; maybe I’m running him too far. So I thought we’ll run him back in the Woody Stephens. Then he drew the inside, and I thought, whoa. I thought maybe I shouldn’t run him, but I thought I need to run him there. So I just thought, put Gary, on him and I just told Gary, just let him rip away from there. I don’t know, we’ve been trying to rate him and all that. That’s not working, so just let him rip, and on the inside he had no choice but to go. I thought he’d run, but what he did that day was like—I was sort of like blown away like, wow, man, where have you been, you know? So (inaudible)? I don’t know, he just came on and like I think he was just like they turned (inaudible) getting in my head, and I think he was trying to tell us all along. So I think that’s what really turned him around. David Grening: Do you see anyone in here—I know Wicked Strong with the blinkers last time was very close to the pace, but do you think that there’s anyone in here that has his type of speed that can entertain him early? David Grening: From what you’ve talked to people up here or have seen from Saratoga, do you—you know—you’ve made some decisions on horses running or not running here based on the way the surface is played. Are you, from what you’ve gathered, okay with how this surface is, or have you not even delved into that? Bob Baffert: It’s like any track; you don’t know what you’re going to get. The main thing is that the horse his style is what he has and I’m not going to change it yes, he’s fast. He just wants to go. Jim Mulvihill: All right, Bob, you’ve been very generous with your time, but I want to ask you one quick follow-up. You gave us a little tease about Secret Circle, and I believe he worked again this morning. Could this horse win the Breeders’ Cup Sprint off of one prep two years in a row? Bob Baffert: He’s doing well. He’s training well, so we’re just trying to get him back here. I decided to just freshen them all up, a lot of the horses, and just—shoot for the fall stuff the championship. When it’s in your backyard like that it’s easier to do. He’s up for it. He’s extremely fast. He loves to sprint, so hopefully as long as he stays together it’ll be great. Also, on another note, Fed Biz, I was debating whether to take him to the Forego or the Pat O’Brien but I’ll just say he’s going to stay at home and run in the Pat O’Brien. Jim Mulvihill: Got it. Then you made that decision because…? Bob Baffert: Well, he’s doing really well. He loves Del Mar, and he just really handles the surface. I didn’t want to ship him because I want to run him here and then I’m going to run him in the Awesome Again, the prep for the—either the Mile or the Breeders’ Cup Classic. I just wanted to maybe try him there. Jim Mulvihill: Got you. Well, Bob, this is a lot of great information you gave us today and we really appreciate you taking so much time with us. Good luck this weekend. Jim Mulvihill: All right. That was Bob Baffert. He’ll be firing away in several of the big stakes races this weekend. We’ve still got two more great guests to go, so let’s roll right into those. Up next is Eddy Stanco, who is the principal partner in King of Prussia Stable. A little background on Eddy, he’s also the CEO of Toa Reinsurance Company of America based in Morristown, New Jersey. He’s been a fan of racing since he was eight-year-old, and he initially got drawn in by a fascination with numbers, which also led him to become an actuary. On Friday, of course, Princess of Sylmar, the 2013 Champion Three-Year-Old Filly returns to the scene of two of her greatest triumphs; Saratoga, where last year she won both the Coaching Club American Oaks and the Alabama. She comes up—she comes off of runner-up finishes this year in two Grade 1 stakes, and she’ll face the winners of both of those races Close Hatches and Belle Gallantey in a bang-up renewal at the Personal Ensign. Eddy, you’re on with Jim Mulvihill. Thanks for being here. Eddie Stanco: Thank you very much. It’s Saratoga again, and it’s getting pretty exciting. Jim Mulvihill: It really is. You’ve been in some of the most hyped races of the year. Let’s talk about the Personal Ensign. First, tell us how your filly is doing, and what you’ve seen up in Saratoga, and also what you’re hearing from Todd. Eddie Stanco: Well, she seems to be doing very, very well. As you know, Todd has said that we’re—we’ve been concerned about this for awhile that when she works the level of focus that she might have. You know, and she would gallop out—when she would gallop in the morning she would tend to look around a little bit. So Todd galloped her one day with blinkers, and that really seemed to make a bit of a difference. Then a few weeks later, he worked her in the blinkers and she had a great, great workout. It kept her focused, and she hasn’t had the blinkers since. She’ll have them for the race, but from what I’ve seen and what little bit I know, it looks like as she comes the stretch in the morning, she is very, very focused and she gallops out well, and Todd says she’s on top of her game. So I think we’re in—I think we’re in very, very good shape and she’s as physically fit as she’s ever been, and I hope—you know—I hope she races as well as she did last summer. Jim Mulvihill: Or from my perspective, even as well as she has this year. I mean despite not getting the wins in the last two starts, she’s had legitimate excuses, and it doesn’t seem like she was any less of a filly this year than she was last year. I mean she, you know, had to deal with the slow pace, and then she had to go wide in the last one. I mean tell me about her last two races from your perspective. Eddie Stanco: Yes, that’s absolutely correct. I mean after the Breeders’ Cup last year, Todd gave her six months off. She went out to WinStar Farm just to, you know, strengthen, put weight back on, and she had put on, you know, a significant amount of weight, and was just going through a growing streak. Then when she came back in April in the Cat Cay, I mean she ran a phenomenal race there. Then so we were—you know—the focus of this year has been not like her prior year, which was to race all year long and earn her way up to the top of the mountain, but really to focus on the second half of the year. That was the strategy going into 2014. So the April race, the Cat Cay, you know, went very, very well as the prep, and then the Ogden Phipps, I mean that was just a tough, tough group of fillies running. We thought, you know, there was no disgrace in coming in second. She was coming around very, very quickly. She looked great coming through, and she just didn’t get to Close Hatches. But, you know, there was no—we really weren’t disappointed because, you know, she ran her eyeballs out and she did well, and so she came out of that race, I thought she was pretty brilliant. She came out of that race and we were getting ready for the Delaware Handicap, and my view of the Delaware Handicap, what I’ve told a few people, at Delaware you have that deep, deep long shoot, and because of that, by the time—they’re not even all the way through the first turn and the race is already half over. So coming down that stretch in the Delaware Handicap, the time was very slow in my—and what I said to Todd was it reminded me of cars on the Long Island Expressway when there’s heavy traffic and they’re going 40 miles an hour jockeying around for position, because, you know, she just wasn’t finding her spot. You know, Javi had to make some choices and then he found himself on the inside, and you’ve got to think, well, when they go 1:13 I think it was in 6 furlongs, she’s galloped out in workouts at 1:12, that, you know, we’re losing a lot of—we’re using a lot of energy in a traffic jam, and, you know, it was a race that just didn’t play out correctly. So, but I’ll tell you what. That doesn’t take anything away from Belle Gallantey, who I thought even though the pace was 15 lengths slower than the normal pace for a race of that race rating, Belle Gallantey still had a good race; you know, a very good race, and we just didn’t get to her that day. Jim Mulvihill: Well, and—yes, it’s an exceptional group of older females this year overall. They’ve—I mean going back to the Phipps, we saw that was almost a Breeders’ Cup caliber race that day, and, you know, Belle Gallantey now is a Grade 1 winner. So talk about this group overall and also as they start to converge on Santa Anita at the end of the year. Eddie Stanco: Yes, well, you know, when you look at the entries, obviously they came out yesterday, and when you look at the entries it’s obviously, you know, it’s a very strong field, and I think we’re right there in the mix. I mean you have to look at the field as Close Hatches obviously has done very well; gotten the time off. Her race rating, her form ratings, all of that are very, very strong. I would put her right in—myself I’d put here right at the top of the list, and I’d say the only issue is going to be it is a little bit of a longer race, and I don’t think it’s going to play out the same way. I think you’ll see that there’ll be more pace and more speed in the race. So I would put her, myself, I’d put her on top. Then right, you know, from a numbers perspective, I’ve got the Princess, you know, basically at the same point, maybe a little bit less, but our advantages are obviously we can close and we can like the track and the distance; all of those things work, but then again, she’s on the outside. Then after that, I think one that’s really one you have to watch is Antipathy is just a hair behind those first two. Of course, she’s on the rail. We’re giving her five pounds. Her numbers are just a little bit slightly less; but certainly, you know, had a great Phipps and can get the job done. Then, you know, Belle Gallantey, of course, you know, had the good Delaware Handicap, and that horse has really come along, and you never know what Rudy has up his sleeve. Right after the—we lost the Delaware Handicap I saw Rudy up in Saratoga, and I congratulated him. I was in the paddock and I said how’s your horse coming up, Rudy, in this race? He goes, not that good. Well, that horse that he had I think paid $36 and I didn’t get it. Eddie Stanco: So you never know what Rudy’s got up his sleeve on that one. Then, of course, you’ve got the closer in Stanwyck. Todd’s Majestic River looks like she’s coming along, and Fiftyshadesofhay knows the track and has Johnny. So I think it’s going to be a great race. You know, our view is I mean if our filly were to turn—you know—throw in the towel and not want to run, yes, we’d have to make some decisions, but I think every indication that we have is that the Princess should put in an excellent, excellent effort. Whether she is, you know, if she beats Close Hatches or any of the other that we’ll know in the race, but if she has a fine effort we’re certainly going to move forward. You know, if it is a real—if it’s a very good effort, you know, we certainly have a target of the Breeders’ Cup. Danny Brewer: Talk for a second about the filly and mare division. I mean it seems to be pretty loaded. There’s been a lot of marquee races, if you will, and this is another one as it comes up with some of the top—some of the big hitters. So what about the division and the depth and how it helps the sport? Eddie Stanco: Well, I mean this is—it’s been a great group. It’s really nice that a, you know, a few of them they’re around from last year. I mean Fiftyshadesofhay was in the big races last year as well as we were, and Close Hatches and Beholder. Beholder’s, you know, getting ready out on the West Coast. You know, ultimately they’re goal is Zenyatta and the Breeders’ Cup. So having the group together as a group just makes it all that much more fun for the fans, and also it becomes, to me anyway, it becomes very rewarding. The fact is, you know, I think this is a big race. Whoever wins this race tomorrow, or on Friday, legitimately I think goes to the top of the class in terms of the ratings as things move along into the fall. I mean it just—I mean it’s a very, very strong group, so it should be a lot of fun. Danny Brewer: Talk about the Princess and how she has changed your life? I know that can be a deep question, but just how has she changed things for you? Eddie Stanco: Well, really simply we talk about it—we—every day. I mean winning that Kentucky Oaks at 38:1, make no mistake, that was a life changing event. She has just brought a lot of joy to us. It really is life changing, and it’s—and more important, she’s brought joy to a lot of people; a lot of others. I get calls from people all over the country, and, in fact, in other countries, and people are coming from all over to see her run on Friday. Then, of course, two weeks ago at Saratoga we had Princess of Sylmar Supports Childhood Cancer at Saratoga with an autograph signing, and that was a very, very rewarding day. So for us to be able to share her with all of the fans, it just makes racing so special for us. We’ll never forget it, that’s for sure. John Pricci: Good afternoon, Ed. The blinkers go on on Friday, and I was just kind of wondering is this more of a focus issue or is this to get him in the—get her in the game a little earlier? What was the thinking there? Eddie Stanco: It’s clearly a focus issue. You know, it’s funny, when I watch her gallop in the mornings whenever I could get over to Belmont, you would see her as she’d go by; you know, she’d be turning around looking around at various objects and things, and it was really always a question—it was a very, very subtle thing just to keep her mind more in the game. So by putting the blinkers on it was clearly the focus. Now what happens, of course, with blinkers is that we don’t want to change her running style, because her running style is one of settling down and getting that beautiful stride that she has, and then certainly you get a little bit of an explosion at the end. So it’s not a—putting the blinkers on is not a tactical issue in terms of how to deal with a particular race. It was really more a question of let’s see if it focuses her. And, boy, when she had that workout with the blinkers, when Isabelle came back afterwards, she had everything she could do to, you know, to get her to stop after a 1:12 6 furlongs, so a 47 half. So there’s no question that that will work for that reason. What to me is real interesting about the race is that you have Close Hatches and Princess on the outside, so so much of this race is going to be determined by how the jockeys strategize and get out of that gate and what they’re going to do going into the first turn. You can visualize a lot of different scenarios, but I think it’s all exactly how—what’s going to happen. It’s going to be a spontaneous event hitting that first turn. John Pricci: Yes, it’s a little unusual but there seems to be a little pace in there. We don’t get a lot of pace in New York very often. Thanks for your time and have a safe trip on Friday. Jim Mulvihill: Eddy, we’ve pretty well covered the race coming up on Friday, so I want to talk about her campaign overall as well as maybe the future. Going back to last year, you made a very sporting move in deciding to ship the Breeders’ Cup when you really had nothing left to prove. Can you tell me if you have any regrets about that, and also how that result will play into perhaps the rest of her campaign this year? Eddie Stanco: Well, first off, I’ve said it many times; none of us have any regrets about sending us. I could, you know, she—as we went into that race, she was in top form, and our view was we weren’t looking at it as sitting home and getting the Eclipse Award that way. When you have a filly of this caliber, you’re really racing for the fans. You’re really racing for history. There was no indication that she was finished or over the top, and so our view was, you know, she was really special and we thought she could really do something, and it just wasn’t her day. There are absolutely no regrets. It would’ve killed me to stay home and watch the race on TV knowing that we might have the best filly in the world sitting in the barn. So that’s how we looked at that, and, you know, we all felt that. We were obviously disappointed at the outcome, but that’s racing. This year our view was we would look at the second half of the year. I already paid the $100,000 supplemental nomination fee, so besides that, you know, the target was the end of the year races this year. So the view is—our view is if she has a decent race here we’ll definitely be targeting that, and hopefully the Santa Anita surface will be more similar to a Saratoga surface than an inner state. If that’s the case, you know, that could work out well for us. But it really is all going to be one race at a time. Jim Mulvihill: Fair enough. Then even beyond that, you’ve got to be excited about the prospect of breeding a filly of this caliber. Is that something you’re already thinking about? Eddie Stanco: With the race on Friday, one of the things that we’re pretty thrilled about will be that it will be one of Tom Durkin’s last Grade 1 race calls of his career, or at least his career at Saratoga as we know it. He’s just been great for all of us, and, you know, it’s just been wonderful to have him. So we look forward to that part of it, too. Jim Mulvihill: Well, I appreciate you saying that. All of us are going to miss Tom. Eddy, I just want to say, you know, this filly certainly has a huge fan base, and it’s because of her wins and I think it’s because of her running style, but it also is because of you and your partners and the way that you’ve made her available to the fans and the decisions that you’ve made with her along the way. So thanks so much for giving us so many opportunities to see this filly, not only these last two years, but perhaps even as a five-year-old, and we wish you luck on Friday. Eddie Stanco: Thank you very much. Have a good one, guys. Jim Mulvihill: All right, that’s Eddie Stanco, and we’re going to get to see Princess of Sylmar Friday in the Personal Ensign at Saratoga. Now, we’ve been lucky to have two guests today that are very popular and also very talkative, which is what we love, but that also means that we’re running a little long. So I appreciate everyone’s patience, because we still have one more great guest on the line with us, and that, of course, is Hall of Fame jockey, Mike Smith, who is going to ride Shared Belief in the Pacific Classic. Mike’s a member of the Racing Hall of Fame. He’s got more than 5,200 winners. He’s got wins in all three Triple Crown events, and he’s the all-time leading rider in the Breeders’ Cup with 20 winners. Mike Smith, thanks for joining us. It’s Jim Mulvihill. How are you doing, man? Mike Smith: I’m doing great, Jim. Thanks for having me. Jim Mulvihill: You got it. We appreciate you coming on. Let’s talk about Shared Belief. You were on him for the first time in the Los Al Derby. He goes and wins easily by four. It looks like it could’ve been more than that if you wanted it to be. Just tell us how he felt to you that day and describe that race for us. Mike Smith: Yes, just about like it showed, he was extremely impressive. I was really amazed at the ease that he done it in as well. You know, it was a good group of three-year-olds that were behind him, and a matter of fact, one of them came out of that race and just got beat (Inaudible) in a million dollar race just after that, so it proved to be a live race anyways. He’s doing real good and I’m just really excited about getting the opportunity to pair up with him again. Jim Mulvihill: When you do pair up with him again you’re going to have to face Game On Dude, who has been a very kind horse to you over the past few years. You’ve won several Grade 1s on him. Can you just tell us about the process of deciding to stick with Shared Belief when you’ve got a horse also pointing to the same race who has made a ton of money for you? Mike Smith: Yes, extremely difficult decision. You know, and Game On Dude, man when he shows up and runs his A plus race, there’s not too many in the world period that can outrun him. So he’s going to be very, very difficult to beat. You know, this decision just came down to the—well, you know, more of anything that Shared Belief is three and has, you know, a few good years left ahead of him, whereas Game On Dude is seven and I’m not too sure how much longer his racing career will be after this year. So that’s just kind of the way you’ve got to look at it. That doesn’t necessarily mean that we’re going to—we get to stick with him, you know, Shared Belief that long, but we’re planning to, so that’s just the way we look at it and that’s just what really was the deciding decision because they’re both extremely talented horses. Jim Mulvihill: Certainly. We had Bob Baffert on to start this call today and even he said he couldn’t blame you for moving over to Shared Belief. Now I think because of your experience on Game On Dude, the strategy in this race is going to be very interesting. I mean you know better than anybody how Game On Dude is at his best, especially when he’s left alone early to cruise on. If he’s out there a few lengths ahead of you, do you feel like you’re going to have to go after him early? Do you have to be the one to challenge Game On Dude knowing what you know about him? Mike Smith: Well, I know if he gets things his own way, like I said, he’s extremely difficult to beat. So, I’ve got to hope for a little help in the race, and if I’m not getting it, well then I might have to be it. You know, we’ll just have to wait and see on how the race is developing and how Shared Belief is, running at that time. If he’s cruising nice and easy and I feel like I can make an early run at him, well then maybe that’s something I might do, you know. It just depends on how things are going. If he’s just going really easy and I’m already right there, well then I can certainly wait a little longer. So we’ll just have to wait and see. There should be pace. Any time you get this caliber of race there’s going to be some pace. Jennie Rees: Yes, Mike, did you learn anything about Shared Belief from riding him that you didn’t know? I mean what were your impressions of him before the race from having seen him and ridden against him. Then after having ridden him, what did you find out? Mike Smith: You know, Jennie, he was just such a professional. Man, he is so straightforward that, you know, there’s really not a whole lot to learn about him. It’s just, what I did learn about him was I was amazed at how well balanced he was. I mean he’s not that big of a horse, but when you’re on him and he’s running he makes you feel like you’re on a giant. I mean he’s just so well balanced and really agile. Jennie Rees: He’s five for five. How much, you know, more is there that maybe—I mean he hasn’t run much—might there be? Mike Smith: I mean it’s kind of scary. I mean the last time I was at Los Al, he made pretty easy work of it to be honest with you. I’m not saying that in any bragging way or nothing, I mean he just really did. I was so impressed. I thought, well, man, maybe they just didn’t fire the race, but, you know, horses came out of that race and he came back and ran huge. So, you know, he came out of a good race, and I have seen (inaudible). Hopefully I never have to find out. Jennie Rees: But the other thing is how much of an edge is it having not only ridden Game On Dude extensively, but you’ve also ridden against him and beaten him, thinking of Drosselmeyer and the Breeders’ Cup. Is that a big edge especially with a horse that does have speed you kind of know what his game plan is? Mike Smith: Yes, it definitely is an edge (audio interference) lines up close at the end, you know? It could be just knowing a little thing here and there that could help me. You know, it certainly helps that I’ve ridden him quite a bit. But in saying that, too, Martin has been on him probably more times than anybody’s ever been on him, to be honest with you. He gets on him every time in the morning and knows him extremely well as well. So, you know, hat’s not going to be that much of an edge. I’m just going to have to flat outrun him. That’s just what it comes down to. Jennie Rees: It’s such a simple game, right? Mike Smith: Pretty much. (Cross talking) it comes down to the end. I’m just going to have to be better than him on that day. Jennie Rees: Yes, and second question is, you know, at seven he has a license to have lost the step. When he’s on his game, like he was in the Santa Anita Handicap, I guess, you know, he’s brilliant. But do you think it’s, you know, just age maybe catching up with him that he only won, what, one of his last five, or do you think he’s getting smarter and maybe just if things don’t go his way he just get as interested as…? Mike Smith: You know, there’s a country song kind of named after him. You know, he might not be as good as he once was, but he could be as good once as he ever was, and I know that about him. You know, he came back off the year off just a mediocre race. It wasn’t anything that resembled Game On Dude as of last year. But then he, you know, and everyone counted him out and he comes back and he runs 117 (inaudible) in the Santa Anita Handicap. So I know it’s in there, and I’ll never take him lightly. Danny Brewer: Okay, if we want to talk about country songs, how about family tradition? You know, Shared Belief, his daddy Candy Ride won it and set the dirt track record, so he kind of sets a little bit of a high bar, because I know Candy Ride had other horses in there. But there’s bloodlines and all this stuff. Do you think that this horse has got some of his daddy in him as far as that raw speed and pure running ability? Mike Smith: Well, it sure seems like it. He’s not quite as big as his dad was. His dad was a pretty good sized horse. But I mean he’s got that kind of ability. I mean it’s scary. He’s—you know—he’s won all five of his races really well within himself. You know, he’s been drawing away at the end and there’s never been a race where he just hung on or something. I mean he always seems to have something left in the tank. He has a lot of stamina just like his father did. Danny Brewer: Mike, we’re going to talk about your career here for just a second. Sometimes do you like wake up in the morning and pinch yourself and wonder, hey, is this happening for real, I mean because you’re maybe top of the heap here? So what’s your thoughts on that? Mike Smith: It’s funny you say that. You know, I just pray every morning when I get up—I feel guilty. I say, oh my God, how is this still happening to me. I just thank the Lord and thank him for blessing me, and I just try not to think about it too much, because, yes, I do have to pinch myself. I’m so blessed to be doing as well as I’m doing right now and getting the opportunity to ride these kinds of horses just has been great for my career. Danny Brewer: Well, I think you’re riding for a reason, Mike, because you’re good. I appreciate your time and I wish you the best of luck. Mike Smith: Thank you. Thank you. Jim Mulvihill: All right, Mike, we’re going to let you go. We really appreciate your time today and we wish you a safe trip, not only on Shared Belief but all safe trips. Mike Smith: Amen. Thank you, guys. I appreciate it. Jim Mulvihill: All right, that was Mike Smith, and he’s going to ride the undefeated Shared Belief in the Pacific Classic on Sunday. That concludes today’s call. Once again, I want to thank all our guests, not just Mike Smith, but also Bob Baffert and Ed Stanco, and I also want to send out a thanks to Joan Lawrence who organizes these calls for us week after week and does a great job of it.